Ha! A post titled Med Tent - that's a first! To say I felt anything other than devastated would just be a lie. But there wasn't much else I could have done. I wasn't getting any better. I was still incredibly dizzy and nauseous. I was still cold. I was thinking about my family and that they had come all this way to watch me race and that I had failed epically. There would be no low-fiving Sonja on Ali'i. This was my first DNF. Blech. Finally, the IV was in - my first race IV. And now I know why everyone wants an IV after a race.....I started feeling marginally better half way through the bag. My stomach settled. My 3 nurses had been talking to me the entire time I was in the tent but I wasn't really talking back. I answered with a short yes, no, or a grunt but no conversation. Halfway through the bag I started talking a bit. All the way through the IV? I was having all sorts of conversations with the medical personnel. (as a side note - the volunteers in the tent are absolutely awesome!) I sat up on my own. I had to pee. I was hungry. I no longer needed the blanket. I felt almost normal. 2 hours after I entered T2, I was OK. They brought me some pretzels and chocolate milk. I stood up on my own. I was fine. Finally, I was reunited with my family. My daughters hugged me for minutes - they were so worried about me. Thanks (NOT) to Ironmanlive.com they had no idea where I was. It showed I was out of T2 in 6 minutes. I believe I heard there was even a run split at one point. They thought they had missed me running by. They took pictures of anyone in red hoping it was me. After 30 minutes or so the T2 time disappeared and they knew I never made it out. Talk about incredibly supportive, they were there for me telling me I made the right decision and it was all starting to be OK.
We grabbed some food and all sorts of people were congratulating me. Ugh. I began telling people - no, I didn't finish and point to the bandage on my arm. I felt awful, like I didn't deserve their good wishes. Eventually I just said "thanks" - honestly it was just easier to say thanks than try to explain. I wanted to disappear to my hotel but I would not leave until I saw PIC finish. Her run splits indicated that she wasn't having the best of days either. So we all waited for her on Ali'i. Finally we saw the girl in red.....she saw me and came over and we just hugged. So now it's time to answer the why? The how? The WTF? Kona is a different beast of an Ironman. Unless you live there, it's tough to recreate the conditions: the heat, the humidity, the wind. Nutrition plans that work elsewhere may not work there. In 2011, I had some of the same problems - I came out of T2 feeling dizzy but was able to finish. This is now a work in progress. Although I swore off Ironman several times in the med tent and later on that night, I cannot back away from a challenge. And that is exactly what Ironman is (duh). I want to nail my nutrition at my next Ironman. 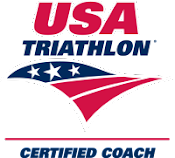 If I am fortunate enough to qualify for Kona again, I will go in with a solid plan that I believe in and that has been tested as much as i can in Colorado. And I will roll the Ironman dice and cross my fingers it comes up a winner. Once again......Game On. That's right, about the time I was released from medical and after I swore off Ironman for the rest of my life, I decided I needed to do another race this year. It's slim pickings right now for races but I found one down in Texas! This weekend! Go Michele. You will get them next time. I know Louisville and Kona are NOT the same race, however, the conditions aren't that much different. I feel the same way about my IM race there - like I have unfinished business and somehow I have to figure out the hydration issues in 96 degree heat. It has to be that race. Good for you, Michelle for making the right decision. There'll be other races and you'll come back stronger. They gave out handy medical supplies like satchels of bandage. That could prove useful at times and I collect some of them. Running any Ironman challenge is tough enough. Throw in the high heat and humidity of the tropics only makes things more difficult - unless you buy dehumidifiers and strap them onto your outfit.